GeForce GTX 465 available from MSI, PNY, Gigabyte, EVGA, Palit, Zotac and Asus . 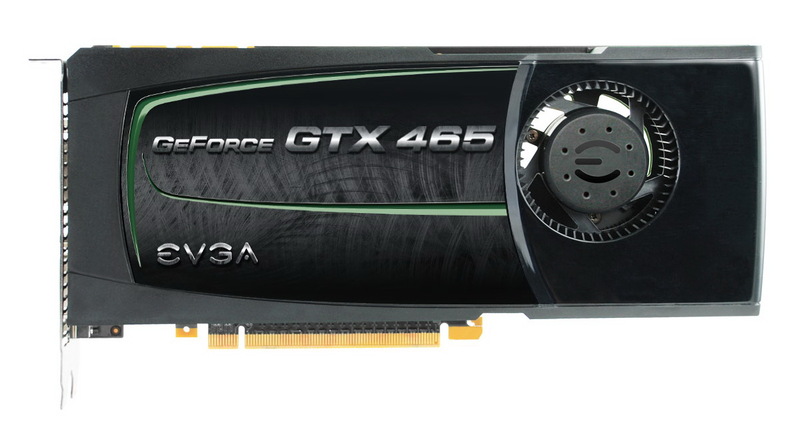 The new GTX 465 GPUs come with 352 CUDA cores (stream processors), 1024 MB GDDR5 video memory with 256-bit memory bus and they can be a good more affordable alternative to GTX 480 and GTX 470 for stereo 3D gaming as they still pack quite a lot of processing power. Until now, getting the NVIDIA 3D Vision experience was mostly for the Do-It-Yourself (DIY) enthusiasts who could purchase a 120Hz, 3D Vision-Ready certified display, install a suitable GeForce graphics card, add the 3D Vision shutter glasses kit and install all of the drivers. But today at Computex during his keynote CEO of NVIDIA Jensen Huang announced the creation of the new 3D PC category, so that consumers can buy a completely configured 3D PC and get a 3D experience right out of the box. And this idea seems to be getting a broad industry support from companies like Asus, Acer, Dell, LG, Toshiba, ViewSonic and many system builders. The prices for the 3D PCs will begin at about $1,500 USD and that price will include everything that you need: 120Hz monitor, 3D shutter glasses and pre-installed drivers. This is about half the price of a new 3D HDTV, making it the least expensive way to enjoy 3D content at home, but if you do purchase a 3D TV later (or if you already have one) you’ll be able to connect your 3D PC to it via HDMI 1.4 to enjoy your stereoscopic 3D content on the big screen using the Nvidia 3DTV Play software. Another very interesting announcement came from Microsoft who announced that their product Silverlight (an alternative to Adobe’s Flash), a web content development platform now supports streaming 3D content over the web to NVIDIA 3D Vision-equipped computers. NVIDIA and Microsoft also demonstrated a high definition stereo 3D music video (We Are The World 3D) streamed over the internet, but we are expecting to get more details about that very soon. ASUS is demonstrating its new 15.6″ Asus ROG G53 3D gaming laptop (with 120Hz LCD panel) that has full support for 3D gaming and the new HDMI 1.4 output (does not come bundled with 3D Vision glasses), a new 17.3″ Asus ROG G73Jw 3D-ready laptop that may come with the recently announced GTX 480M GPU combined with a 1080p 120Hz LCD panel. As well as the Asus G51Jx-EE 3D-ready laptop that probably has the Nvidia IR transmitter integrated to support the 3D Vision active shutter glasses. 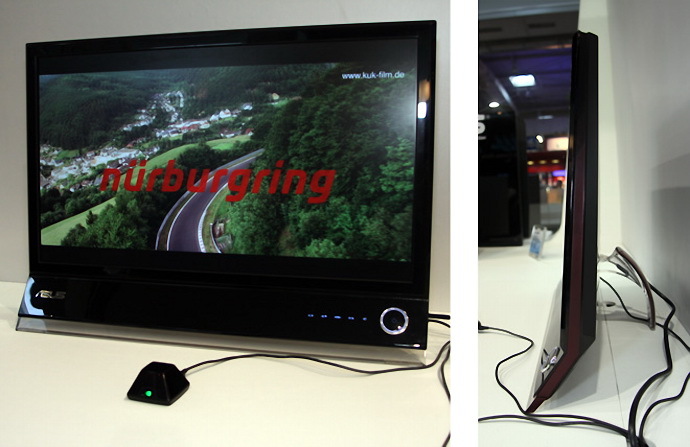 The Asus Eee Top ET2400 All-in-One with 3D capabilities was also shown as wells the Asus CD5390 PC said to be the “world’s most powerful gaming solution,” equipped with two GeForce GTX 480 in SLI and ready for a 3D Vision Surround setup. And we’ll probably also see the 23″ Asus VG236H and 27″ Asus PG276H 3D-ready 120Hz monitors too. MSI is introducing their 24″ Wind Top AE2420 All-in-one PC with 3D support, a built in 120Hz LCD Full HD panel and touchscreen support (with multi-touch functionality). 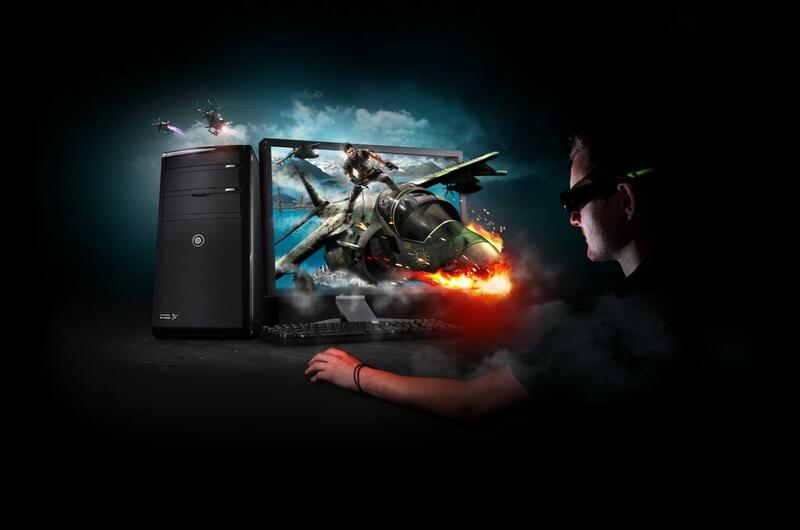 The PC comes bundled with a pair of active shutter glasses for the 3D functionality, but the more interesting thing is that the GPU inside is ATI Mobility Radeon HD5730. And this raised the interesting question if this will be one of the first implementations with the anticipated shutter glasses from BitCauldron and ATI stereo 3D support? According to MSI their Wind Top AE2420 3D comes with MSI’s exclusive 3D Infinity shutter glasses (whatever they are) and there also seems to be a built-in function for converting 2D videos in to stereo 3D.